Peppa Pig has been running for 10 great years! You might have seen an ad to get the nation oinking to celebrate 10 years of Peppa Pig. Get ready, get set and oink as Nick Jr. gears up for a month of Peppa Pig celebrations. Happy 10th Birthday Peppa Pig! This July will mark 10 years since the nation’s favourite pig was first broadcast on Nick Jr. and to commemorate, it is giving fans the chance to join in the fun with the Nick Jr. Peppa Pig’s Oinkestra. 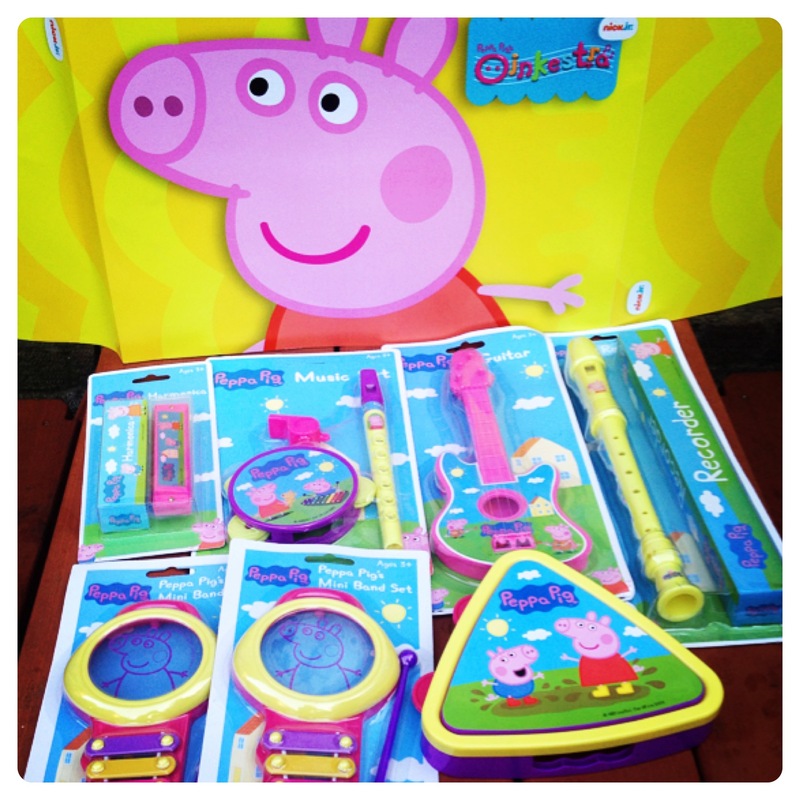 Little man was delighted to receive a wonderful Peppa Pig’s Oinkestra pack containing party items, arts and craft materials, and a selection of Peppa Pig musical instruments so he can oink and play along to the Peppa Pig theme song. We are looking forward to taking part in Peppa Pig’s Oinkestra, we have started to rehearse and practice. He made a little video, check out his oinking! You can also join in the celebrations! Fans can upload videos of their own oinks online to join the Nick Jr. Peppa Pig’s Oinkestra at nickjr.co.uk or through the Nick Jr. UK Facebook page to receive a Peppa Pig activity pack. Little oinkers may even see themselves on the channel, oinking along to the much-loved Peppa Pig theme song. 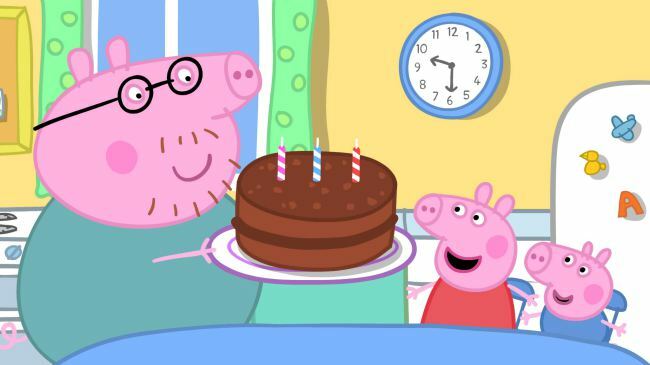 The celebrations will culminate with the ultimate Oink-a-thon, where fans can tune in to watch the Top 20 Peppa Pig episodes, as voted by fans, on the Nick Jr. broadcast anniversary 5-6th July 10:30am-5:00pm. 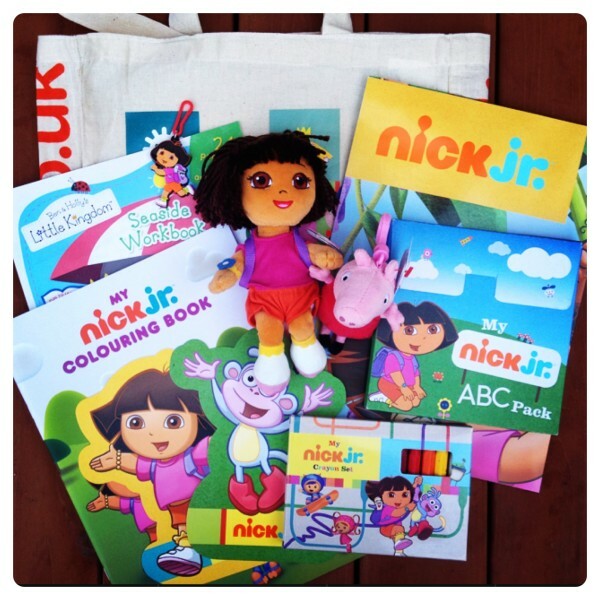 Nick Jr is offering 3 premium goodie bags for my readers, containing a Nick Jr canvas tote bag, Nick Jr colouring book, Nick Jr crayons, Nick Jr ABC cards, Dora TY beanie toy, Dora and Boots postcards, Dora the Explorer poster, Ben & Holly seaside activity pack. There are three chances to win, you can enter the rafflecopter on the blog, RT the message on Twitter or enter on Facebook. See you at Peppa Pig Oink-a-thon on 5th July! For your chance to win a premium Nick Jr goodie bag, please fill in the Rafflecopter below.You MUST leave a comment and subscribe by email (compulsory entries), you can also gain extra entries by tweeting (daily entry), subscribing to other social media channels, etc. 156 Responses to "Join Peppa Pig Oink-a-thon on 5th July + Win 1 of 3 Nick Jr Goodie Bags #Oinkestra"
My youngest daughter loves Peppa Pig – Grampy Rabbit’s Dinosaur Park! I’m not sure, but I think that my little granddaughter’s favourite might be “Bubbles”. We are happy that Peppa Pig is now in Brasil too. Big balloon, the song stuck in my head for ages afterwards!! Love the camping episode! And the ones where they go to Italy! 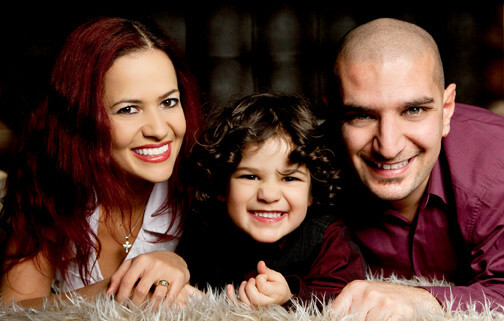 We love the episode with Mr Potato Head. I like the episode when they go to Pirate Island! Peppa Pig and George go swimming. George was funny splashing and kicking his legs. My grandchildren laughed at him. Peppa Pig – Grampy Rabbit’s Dinosaur Park! Jumble Sale, poor mummy pig cant get rid of that smelly chair! The fairground. Love mummy pig in it! My little lady loves the episode where the mummies are helping out at the fire station and put out the daddies barbecue fire. This makes lots of muddy puddles for everyone to roll in. My little lady finds it hilarious when daddy pig rolls in muddy puddles. The one where Daddy Pig demonstrates his expert diving. We love Pirate Island, LO’s love anything to do with building sandcastles and pirates! Daddy Pig & the wolf episode, makes me laugh so much! My daughters favourite episode was when mummy rabbit and miss rabbit swapped jobs for the day because miss rabbit hurt her leg. My little girl loves Dora the explorer. Muddy Puddles is my niece’s favourite. She made me watch it with her in Spanish, even though neither of us can speak Spanish, lol. I like the one where it’s raining and George get the sniffles!!! I can’t say I watch them closely, but my granddaughter absolutely loves it! Cor seen so many, they all end up blending in to one lol, but i like the one where the fish is unwell and gos on a bus to visit the vet!!! I dont know what it’s called but I like the one when Mummy Rabbit has babies.